Go beyond billing and recurring invoices to deliver an automated subscription experience that is simply awesome. Create a subscription plan that best suits your business and collect recurring payments through multiple payment modes. Simplify the payment process for your customer and ensure timely payments. Take the pain out of the complex calculations and avoid delayed payments with automated CCAvenue Subscriptions. Flexible and convenient to use. Charge your customers fixed price on recurring basis as per a set payment schedule. Craft your subscription plans to suit your business requirement. Charge based on usage or per billing cycle. Charge based on number of users or quantity per billing cycle. Sell a combination of recurring and non-recurring products or services and allow customers to pay for them in a single purchase. Charge your customer a one-time fee at the time of creating a subscription before the actual billing cycle starts. Offer your customers a free trial period to make a well-thought-out decision and convert them into paying customers automatically when the trial period ends. All credit cards issued by any bank in India on Mastercard and Visa network. Only one-time authentication required. 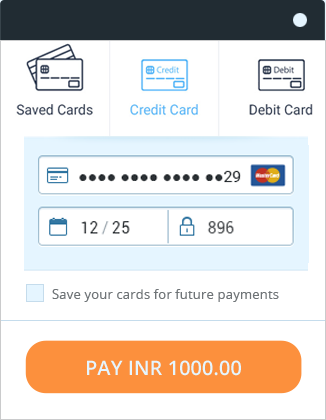 Debit cards issued by ICICI Bank and Kotak Mahindra Bank on Mastercard and Visa network. Only one-time authentication required. Link your customer to a plan, create a subscription and let our automated billing and payment technology handle the rest for you. Stay notified about new subscriptions and all payment related activities via dynamic event notifications and be in full control of your business. We ensure that scenarios like declined card, retries on failed transaction, change of card etc. are handled to minimize declines and increase customer retention. Track all your subscriptions and payments using our comprehensive reports to make informed decisions. Create a personalized customer experience by offering multiple subscription plans and simplifying the buying process. No more hassle of remembering to pay bills! 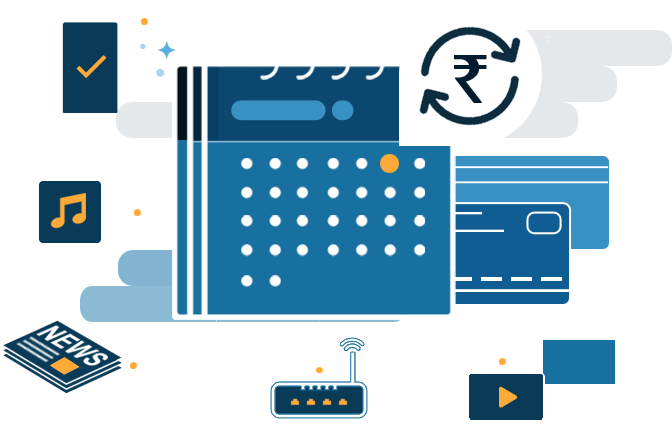 No matter what kind of billing scenario you need, our powerful and versatile API gives you huge flexibility to create and integrate payment scenarios that fit your business needs the most.